The National Institute for Occupational Safety and Health is giving surviving first responders and victims of the 9/11 attacks cancer coverage under the Zadroga Health and Compensation Law. NBC's Robert Bazell reports. Updated at 5:15 p.m. ET: The federal government on Monday added 14 categories of cancer to the list of illnesses linked to the 9/11 terror attacks, which brings added coverage to rescue workers and people living near ground zero on Sept. 11, 2001. The National Institute for Occupational Safety and Health approved the additions to the list of illnesses covered in the James Zadroga 9/11 Health and Compensation Act, which were proposed in June. The updated regulations take effect 30 days after the ruling is published in the Federal Register. The decision "marks an important step in the effort to provide needed treatment and care to 9/11 responders and survivors," said Dr. John Howard, administrator of the World Trade Center Health Program established by the Zadroga law. 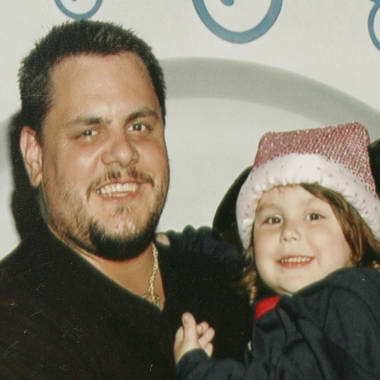 The Zadroga Act — named after NYPD Detective James Zadroga, who died at age 34 after working at ground zero — was signed into law nearly two years ago. Despite the hundreds of sick responders, the act did not cover cancer because of a supposed lack of scientific evidence linking cancer to ground zero toxins. "We are getting sick in record numbers," said Ray Pfeiffer, a first responder who was diagnosed three years ago with kidney cancer. He said it has been a struggle to pay for expensive medications not fully covered by his insurance. "It's fantastic news," he said of the expanded list of covered illnesses. From the first hours of rescue efforts at the World Trade Center site, many feared that the fumes and dust contained chemicals that might cause cancer and other diseases. A new study claims those firemen suffer an increased rate of cancer. NBC's Robert Bazell reports. "They’re going to add cancers, but are they going to add more money to the fund?" Thomas "T.J." Gilmartin, who suffers from lung disease and sleep apnea, said to the Post. "It’s crazy. Every time, we gotta fight. It’s two years since Obama signed that bill, and nobody’s got 10 cents." "We fought long and hard to make sure that our 9/11 heroes suffering from cancers obtained from their work at ground zero get the help they deserve," U.S. Senators Kirsten Gillibrand and Charles E. Schumer, both of New York, said in a statement. "Today's announcement is a huge step forward that will provide justice and support to so many who are now suffering from cancer and other illnesses. We will press on - with advocates, the community, and our partners in government - to ensure that all those who suffered harm from 9/11 and its aftermath get the access to the program they so desperately need." In this undated file photo, New York City Police Det. James Zadroga, left, holds his daughter Tylerann. Fifty cancers will be added to the Zadroga Act, which was named after the detective--who died of respiratory failure in Jan. 2006 after working at ground zero. Last week, the New York City Fire Department added nine names to the 55 already etched on a wall honoring members who have died of illnesses related to ground zero rescue and recovery work, Reuters reported. Some estimates put the overall death toll from 9/11-related illness at more than 1,000, according to Reuters. At least 20,000 ground zero workers are being treated across the country and 40,000 are being monitored by the World Trade Center Health Program, Reuters reported. Tuesday marks the 11th anniversary of the 9/11 terror attacks. Last fall, the September 11 Memorial at ground zero finally opened in the footprints of the original towers. Since then, more than 4 million people have visited. Financial, security and design setbacks have delayed the redevelopment of the World Trade Center in the past decade. A recent project audit indicates that overall site redevelopment costs have grown to nearly $15 billion. One World Trade Center is nearing completion and is expected to open in 2014. NBCNewYork.com's Brynn Gingras and Reuters contributed to this report.